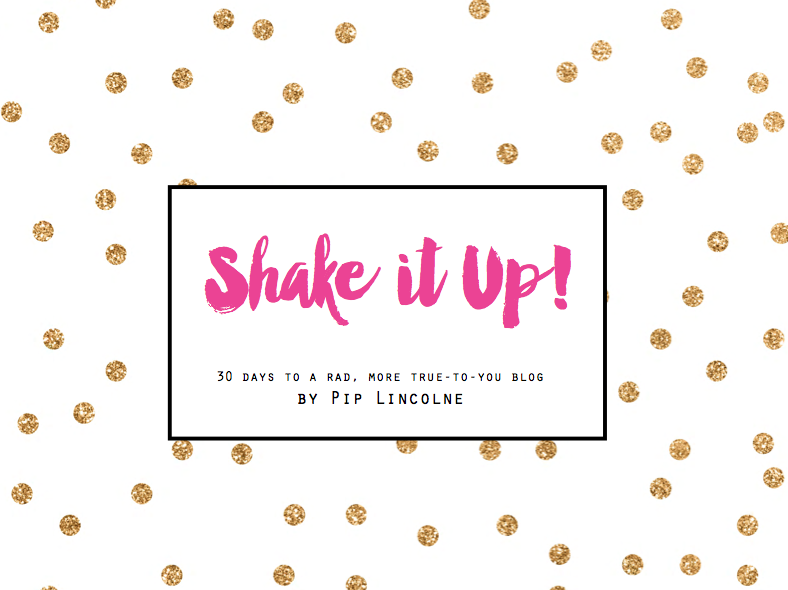 Recalibrating and shaking off anything that felt extraneous … Fortifying myself with stories about birds and sheep and rivers and dogs and bogs and fields and windy beaches. And so on. Honestly? It was a very good decision because every nature-y book I read made me appreciate the goodness of the world a little more. And also made me appreciate the rollercoaster of life, in a way, because nature-themed stories are often written by people who have ducked out of the busy/modern world for their own good reasons. Sometimes life is truly a bit much and living it by trotting around the edges of everyone else and trying not to step in too many puddles seems like a good way to regroup and regain a bit of strength. So that is what I did. And here is what I loved reading the most. I’m including links to these books at my favourite independent Australian bookshop – Readings – but I don’t get a commission or anything. 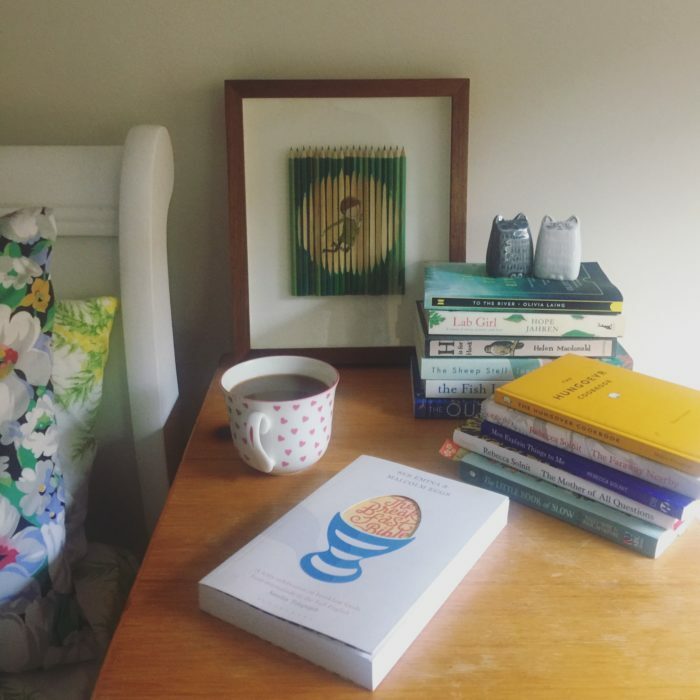 Just wanted to show you a little more on each book from an actual authority – in case my ramblings don’t tell you enough! Falling and Laughing: The Restoration of Edwyn Collins by Grace Maxwell – this book is brilliant and details the recovery of A Girl Like You singer Edwyn from two very serious brain haemorrhages. It’s nature-y in that I want to say it is … and also Grace, Edwyn and their son retreat to a country house by the sea quite often and I liked that idea. And brains are natural, aren’t they? Yes. H is for Hawk by Helen MacDonald – loved it. Helen is an incredible person who has known all about hawks her whole life, and this memoir talks about how one particular bird helped her deal with the death of her father. I disappeared into this book and Helen’s hawk poop dotted living room and I loved the bits about fellow bird fan TH White too. The Outrun by Amy Liptrot – Gosh. So good. This book follows Amy as she returns to the island she spent her childhood on and tries to a) get sober and b) work out who she is again. There is nothing that felt more interesting to me than living in a small house on an island last year, and Amy’s book is beautifully written and really seems to capture the wild beauty of Orkney. 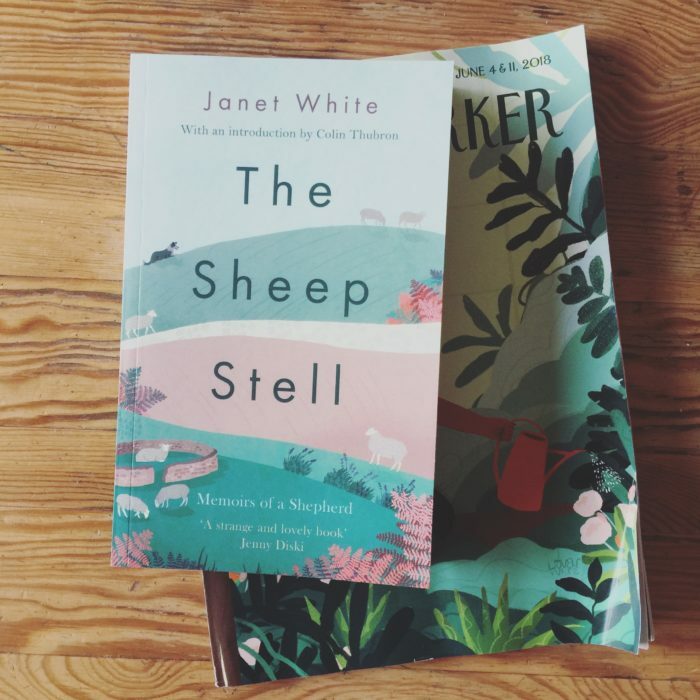 The Sheep Stell by Janet White – How is this book not SUPER famous? It is one of my favourites of all time. It’s so inspiring and interesting and I wish I could read it for the first time again. A woman who heads to an island off the coast of New Zealand (are you sensing a theme here?!) to live in a little house close to the shore and look after a flock of sheep? Yes please! There’s lots more adventures in this book – don’t want to give too much away – and everyone should read it. 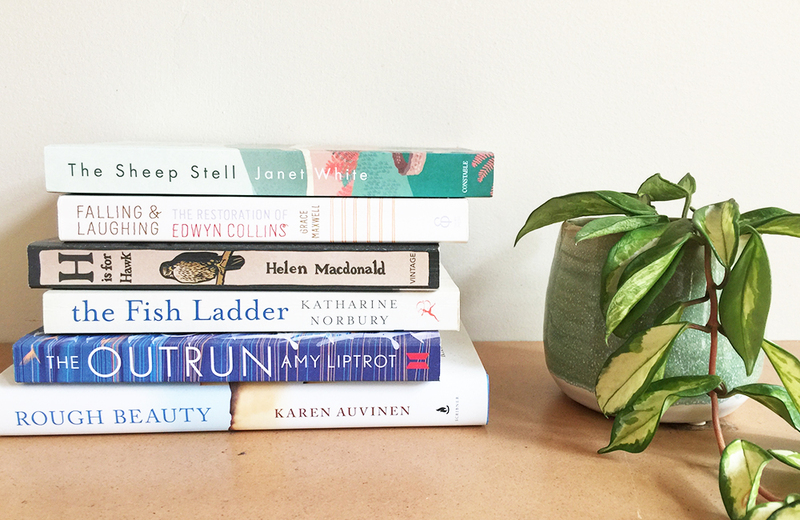 The Fish Ladder by Katharine Norbury – After enduring a devastating loss, Katharine and her nine-year-old daughter Evie set off on a big summer adventure together. Their travels see Katharine following rivers from sea to source – and tracing her own heritage too. LOVED. IT. 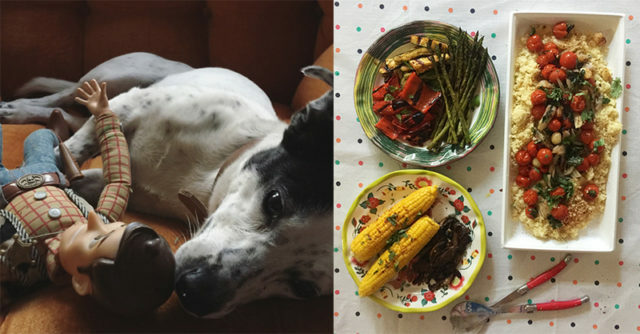 Rough Beauty: Forty Seasons of Mountain Living by Karen Auvinen – Karen’s story of living on a mountain is a rollercoaster of dog befriending, delicious meal-cooking, house burning down-ing, friendship, pub hangouts, wildlife, changing landscapes and writing. I really enjoyed it and hoped my house would never burn down*. This year, I seem to be reading books about pushing through adversity. I suppose I am giving myself a logical dose of bibliotherapy! Then – reading about retreating into nature. Next – reading about facing difficulty and coming out the other side. After that? WHO EVEN KNOWS? I will tell you next year! And my first book of THIS year – aka the year of reading about facing difficulty and coming out the other side – was Educated by Tara Westover. I thought it was amazing, for the record. 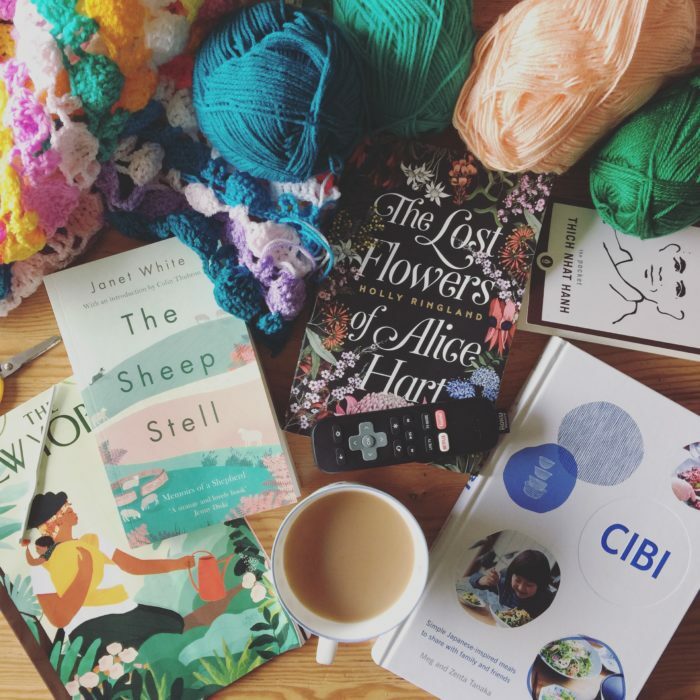 I am now keen to read more about tricky times and big feelings because it’s helpful to spot familiar feelings in other peoples’ lives, I think. So there you have it. 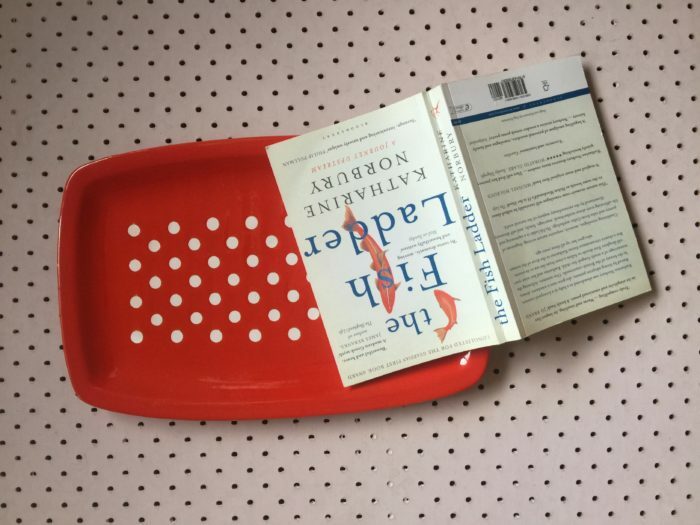 Books to make you feel connected to this funny old world. You’re welcome. * Back up your writing, guys! Keep copies of it allllllll! I love your book recommendations, Pip. I adored H is for Hawk which I read after reading your post about it. Thank you! I also adored The Sheep Stell. Janet White was such a gutsy, independent and resilient woman, and I found her book quite riveting. 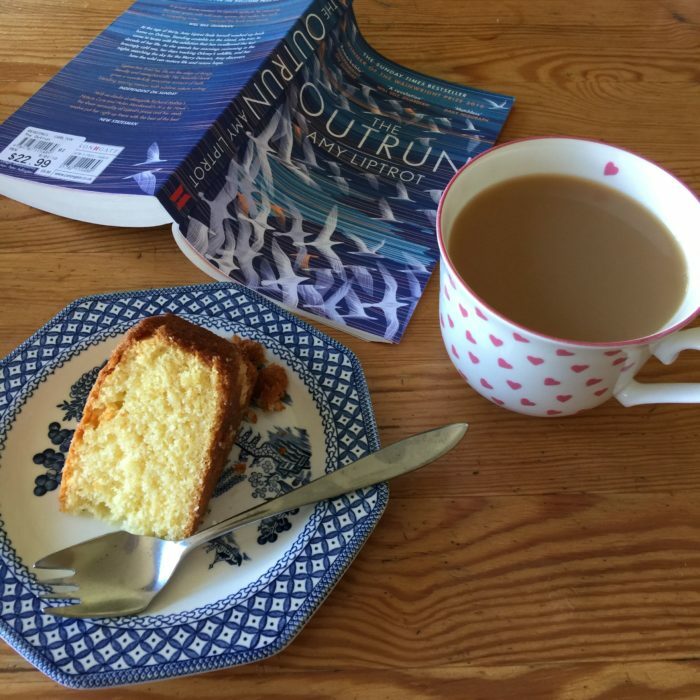 I also enjoyed The Outrun – Amy Liptrot’s honesty and capacity for self reflection came through so strongly in her writing, and I’d like to visit Orkney to see for myself the places and creatures she writes about so beautifully. A surprise selection that I enjoyed last year was The Secret Life of Cows by Rosamund Young. Just a little book, but written with such evident empathy and love for cows and other animals by Rosamund, who has lived on a dairy farm in the Cotswolds all her life. The basic tenet of the farm is to give the animals control over as many aspects of their lives as possible – where they sleep, what they eat, when to wean their calves. The resulting animals are healthy and long lived, and the farmers are able to observe their animals’ behaviours and learn so much from them. I loved this book, you may enjoy it too. I’ve read The Outrun and H is for Hawk and loved them both. 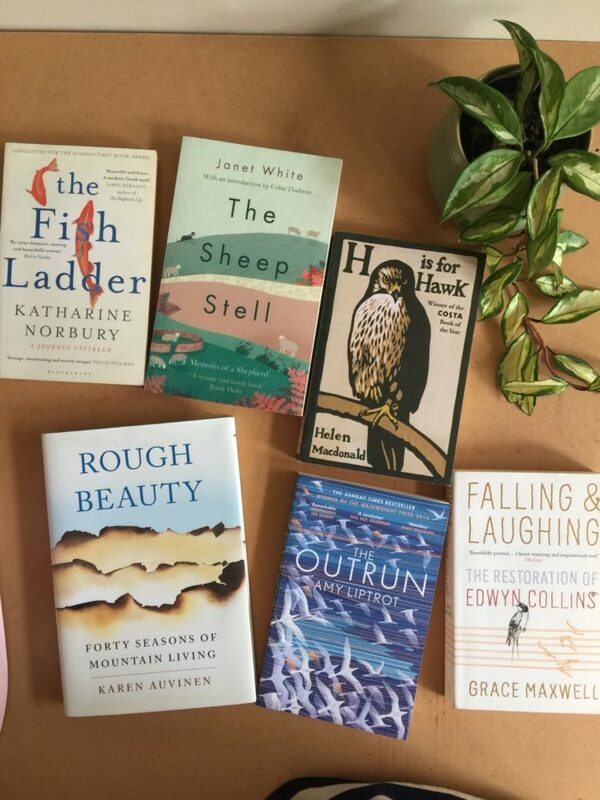 The Fish Ladder is on my ‘to read’ list and I’m going to add ‘The Sheep Stell’. Thank you so much for the wonderful recommendations! oh, love these. Loved the Outrun and Edwyn Collins (who I’ve adored since we were uni contemporaries!) I’d add Emma Mitchell to your list, too. I do love book recommendations. Thank you pip, I have put some of these on hold at the library. Thank you for the recs Pip, I’m going to add some to my goodreads list. I am very glad you are writing another book.